A longstanding interest in art and history led Mercer to become a founding member of the Bucks County Historical Society in 1880. Following further travels abroad, Mercer was invited to join the archaeological department of the Museum of Science and Art at the University of Pennsylvania in Philadelphia (later the University Museum). 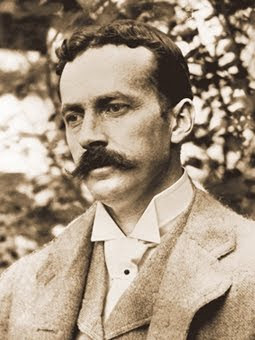 In 1894, the museum appointed him Curator of American and Prehistoric Archaeology, a position that enabled him to lead various expeditions seeking evidence of early human habitation in the Americas. A portion of his collection focused on early pottery, particularly that of the early German settlers in southeastern Pennsylvania. To help keep the potting tradition alive, he would go on to found the Moravian Pottery and Tile Works in 1898. This building, made of reinforced concrete, still stands, along with his home, Fonthill Castle, and the Mercer Museum, all of which are now tourist attractions in Doylestown. Towards the end of his life, Mercer published November Night Tales (1928), a collection of stories reflecting his lifelong interest in history and archaeology, his appreciation for castles and gothic fiction, and his Romantic imagination. Mercer died at home in Doylestown in 1930.